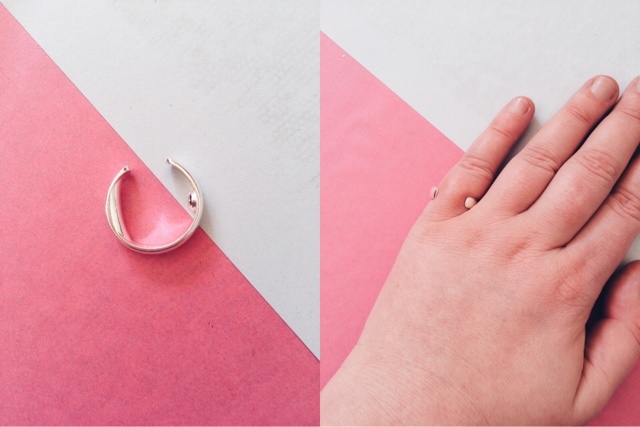 This is how the ring looks on, the instructions say to place the ring at the base of the little finger with the gap facing upwards and the large acu-activator on the outside. Squeeze and release the sides gently but firmly to create a firm but comfortable fit. 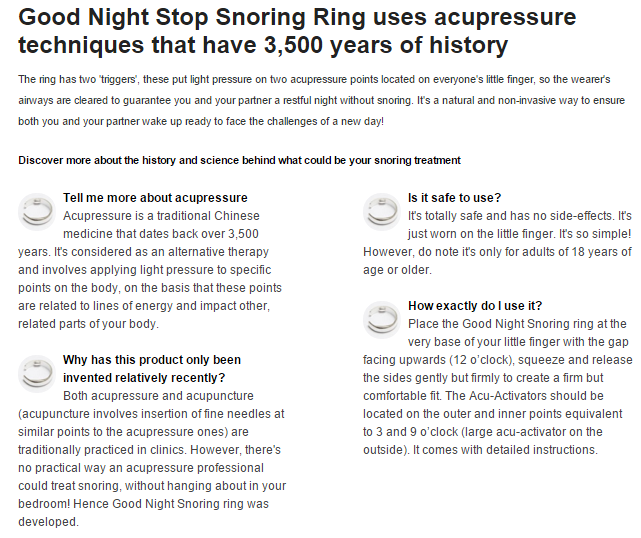 I decided to trial this ring for a week so I could see how many times in that week it actually worked for me, I also like to add that when I eventually do fall asleep I fall into a deep one where I'm unable to wake myself up from nightmares a lot of the time. I put the ring on my little finger like it stated, I opened it a tiny bit so it was a comfy fit. My problem with rings is that they always feel odd on my finger until I've wore them a few more times. I didn't sleep very well Monday night and my sleep was disturbed a lot by my cat and banging next door, I was told that my family could hear me snoring still. I crawled into bed so tired that evening, so tired that o nearly forgot to put the ring on my finger. It felt a little more comfortable to wear and I fell asleep straight away, I must have been sleeping heavily because I couldn't wake myself up from a dream. My family told me they could hear me snoring but not as loud as the Monday, so that's good right? Wednesday's are my favourite days, I always look forward going to see my boyfriend and having dinner at his. I was pretty tired that evening, but when I got back around 11 I decided to stay up an hour longer so that I would feel so tired that I would fall straight asleep. I put the ring on, didn't really notice or feel it there anymore and I slept until morning perfectly well and no on heard me snoring that night. I wasn't feeling too well on Thursday ( I don't feel well it's days anyways) so I had trouble falling asleep that evening when I eventually did I snored really loudly apparently! I had another night where I was unable to wake from my dreams, I have this issue a lot. I decided to go to bed as early as I could, which was around 11. I was going out the next day so I didn't want to feel crappy from lack of sleep, I wore the ring again but I must have slept on my hand whilst sleeping because when I woke up one side of the ring had made a mark on my finger. I once again snored, not so loud that it could wake anyone up but loud enough that it could be heard. Weekends I stay over my boyfriends, we were both pretty sleepy and fell asleep around 12.30pm. I told him to tell me if he could hear me snoring once I woke in the morning, he said it was more heavy breathing than snoring. I'm not sure if the ring stopped me snoring or not. I slept really well last night, I fell asleep straight away and had nice dreams for once. I asked my mum if she heard me snoring at all and she said she didn't hear a peep from me at all. 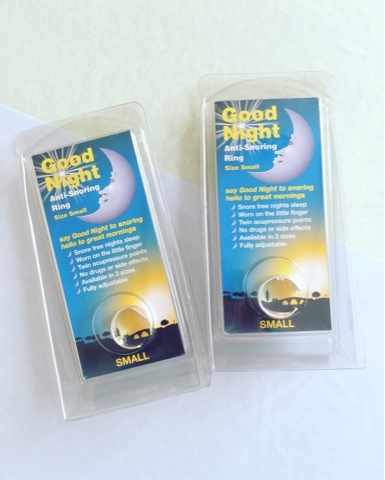 I'm going to try this ring out for a bit longer, the fact that it worked for 3 out of 7 nights isn't bad at all, I would say it's worth a go and for those people who are bad snorers, for those who are really loud snorers they recommend you wear a ring on both hands, I might even give that a try! 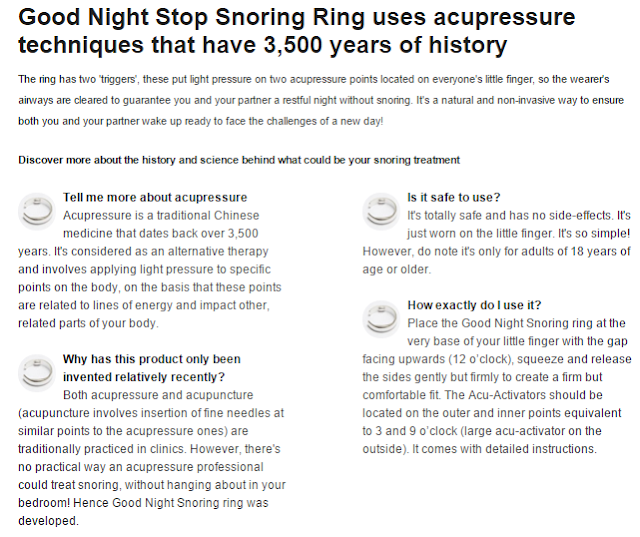 This ring is available directly from Good-night snoring for $50.75 or you can try their 30 free day trial HERE, Amazon also sell these rings for £29.99 which you can Purchase HERE. Oh I need to get my husband one of these. I might get some sleep again! Do you just use one or do heavy snorers need to use two? I was really hoping that they would work better than they seem to from your review. I've been sleeping upstairs to avoid my husband's snoring lately. He doesn't snore every night, but lately it's been worse than normal and more often than not. I might be able to get him to use something like this. read with interest as I also snore lots! I thought you were on for a winner and first and then it seemed to stop working- strange! came over from the slack team; love your blog!